Need Help? 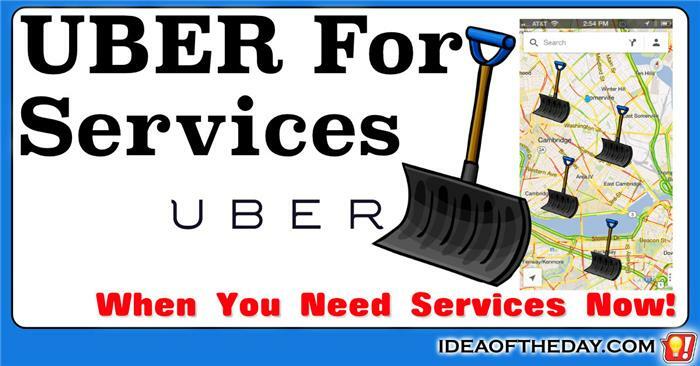 Uber... For Services? What amazes me most about Uber is the fact that they do one thing really well, and it has nothing to do with transportation. When I look at the success of Uber, what I see is something much more important than simply providing transportation. What I see is a company that knows exactly how to connect people looking for a service (a ride), to people nearby who are ready, willing and able to provide that service, right now. It's a game changer for millions of people who use it to earn money with their spare time. It works so well, a lot of them now do it full time. One of the best ways to stay awake behind the wheel is to have somebody to talk to, which isn't easy if you're driving alone... at night. For some people, driving at night is a real challenge because they risk falling asleep at the wheel. That's why I think it would be a great idea of there was a service people could call to help keep them awake. Obviously, your first choice should be to call a friend or family member, but when it's late at night, that may not be a good idea, so calling a dedicated hotline would allow drivers to talk to somebody who's not only available 24/7, but allow them to call somebody who was specifically trained to keep drivers awake. Need something done right now. Who can you call? One of the reasons Uber is so popular right now is that connects people looking for something (a ride), to somebody nearby who is willing to offer it at that very moment. In a very short time they created an instant marketplace for people to offer their services to the public and the response has been overwhelmingly good. To me, the next logical extension is for people to offer other services using the same interface. When a handyman or contractor has some free time, they go to the App and immediately pop up on the map so that people looking for their services can find them. They can specify a rate per job or per hour and let Uber handle the financial part of the transaction. 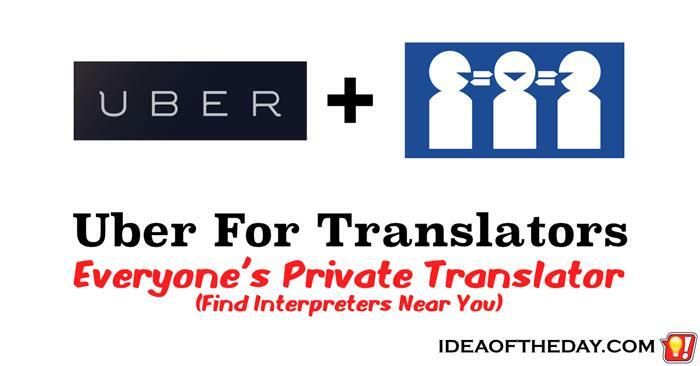 Uber For Translators. Find a Live Interpreter Near You. When I first heard of Uber, the first thing that hit me was that the Uber concept would work well for just about any service. The main reason Uber has been so successful has nothing to do with an increased demand for a taxi service. The real reason Uber took off is because it created an entirely new way for a pool of people to earn extra money by helping people who need something at that moment. In Uber's case, just about anyone can offer rides by registering as a driver. When somebody needs a ride, they check the App for an available driver, and they pay Uber if they accept the ride, and Uber, in turn, pays the driver. 3D Printing has created a revolution in manufacturing, but it won't become mainstream until local stores start offering it. Even though 3D printers are a fraction of the cost they were just a few years ago, the average person won't buy one, unless they plan on doing a lot of printing. 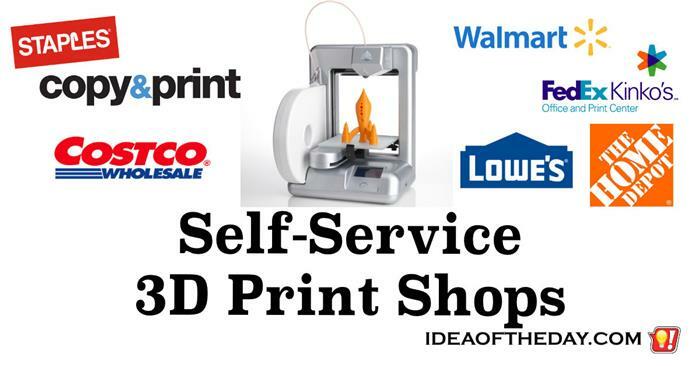 That means there is a huge opportunity for local companies to offer 3D printing services.